The Republican National Committee continued to post successful fundraising numbers in January, pulling in $12.4 million. 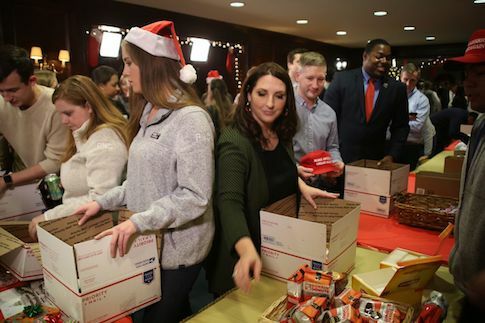 RNC chairwoman Ronna McDaniel made the announcement on Tuesday as the RNC gears up to try to defend its majorities in both houses of Congress. Currently, the RNC has $40.7 million in cash on hand and zero debt. In all of 2017, the RNC raised $144.9 million. "As we head into the 2018 midterm elections, the Republican Party continues to break fundraising records," McDaniel said. "We are working hand-in-hand with Republicans in Congress and President Trump to enact a pro-growth agenda on behalf of the American people," McDaniel said. "In doing so, we will continue to invest in our ground game, data operations, technology, and Party infrastructure to win elections in 2018 and beyond." This entry was posted in Politics and tagged Congress, DNC, Fundraiser, RNC, Ronna McDaniel. Bookmark the permalink.